Hello, Friends! My last outfit featuring this skirt– that’s not to say that I won’t remix it again and again, and even post it on the blog, but for now– coming to you today. 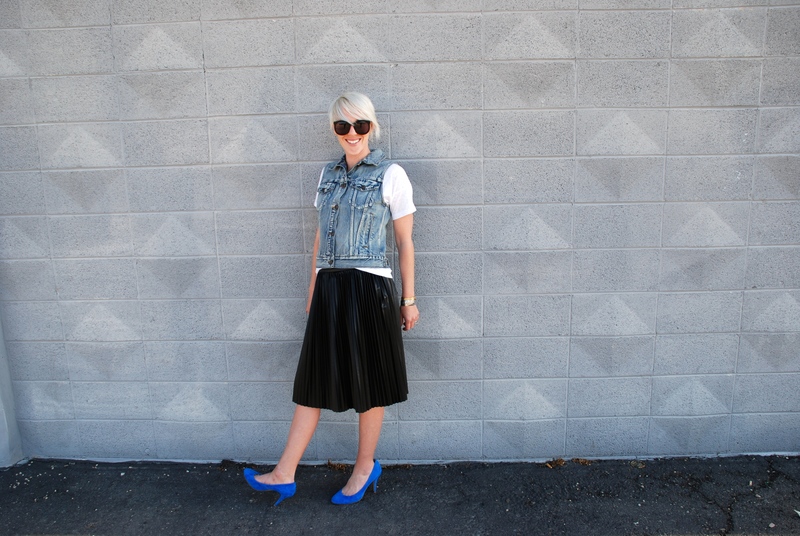 This mix is a little of BOTH previous outfits– a little bit casual, a little bit dressy. 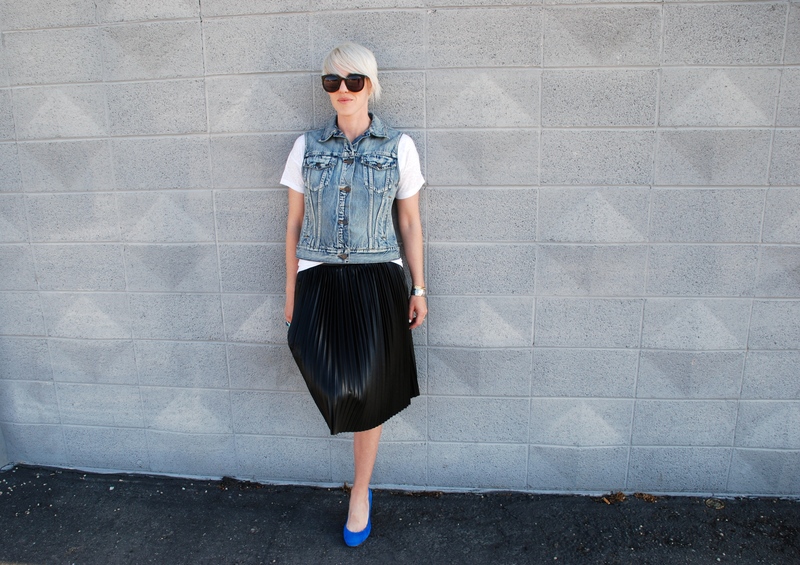 The get-up is a more eclectic combination of the pleated leather midi. I added the heels simply because the pop of blue against the black really got me going. I can imagine this skirt in so many other ways. Come fall with a soft cashmere sweater tucked in and a statement necklace. For a little more contrast, juxtaposed with a collared striped shirt. Or just as I first saw it, with a gorgeous polka dot top. I cannot believe it is Thursday already! This week has flown. How about you? Hanging in there? Had a great one? I hope your Thursday brings you lightness and uplift!